Welcome To The Affiliate Builder Family. This easy to follow video series is my proven strategy to get JV's and Affiliates on board to promote for you. You can instantly add this to your order and start recruiting Super Affiliates TODAY. This video course is an 11 module training program that covers the ins and outs of attracting FREE TRAFFIC to your website. There are a multitude of ways to attract visitors to your sites and if you don't apply the tactics in this course you will be dead in the water. 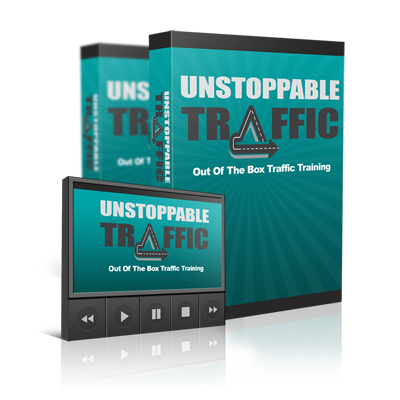 Mastering web traffic is your express ticket to success and this video course will help you become an autopilot traffic driving animal! Do you want to have a ton of super affiliates ready and waiting for you to launch your next product? It’s very powerful to have a list of 2 or 3 thousand affiliates that can drive traffic to your offer on command when you simply send them an email letting them know you’ve got a launch coming up. Right away they start putting your product launch on their calendar and then on launch day when you open your cart, when you go live, all of a sudden you’ve got tons and tons of sales coming in. Sale notification after sale notification coming into your email inbox as a result of that affiliate support. I want to teach you how to recruit LOYAL affiliates for your business. Not just for this upcoming launch, but for your next launch, and the one after that, and over and over again. I want to hook you up with super affiliates that want to fuse traffic with you. I want to introduce you to Affiliates that want to reciprocate and promote for you. I want to connect you to expert JV’s that are REAL business people and drive SERIOUS TRAFFIC. I wan’t you to learn the skills that will get you product of the day on JVZoo each and every time you release something. You're already going to be on our Bonus Q&A webinar next week but these are a more advanced than the training you’re already gonna get. I take you deep into the SPECIFIC methods that I use to get hundreds of powerful affiliates to promote for me on the same day. This is for only those that really want to drill down and build a long term business with a big list of affiliates. Learn how to actively and vigorously attract the RIGHT affiliates and just what to do to ensure they promote for you again and again. Empowering your affiliates tools to promote your products, and the special technique that turns those tools from “nice to have” to “must use”. Learn to “train” your new affiliates to maximize their efforts (most people screw this up) Learn to communicate with different types of JV’s. Learn the mindset you need to acquire if you’re going to recruit and keep affiliates for the life of your your business. Create buzz to excite your existing affiliates and to attract new ones, and see how NOT creating buzz is leaving money on the table. Learn the specific things you need do as well as areas where you are likely to run into issues and how to mitigate or overcome them. 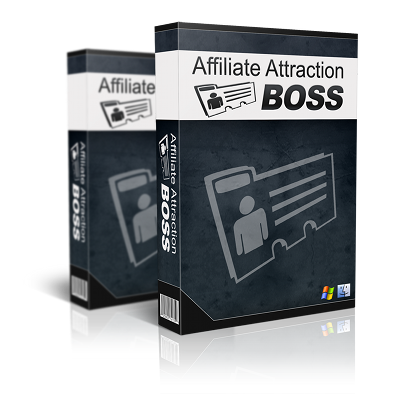 I want to teach you how to Attract Affiliates Like A Boss. But it’s only for those that take action right now. For those that are serious and willing to do things ethically. I say, jump on this right now. Take advantage of this video series now and it will be in your members area. Just add it to your order right now because it’s helped me and I know that this is going to help you too. It’s how I’ve built that huge list of affiliates that promote for me. Maybe you’re not ready to have a whole bunch of affiliates to talk to and to promote for you. Maybe you want to do that later. If you don't wan't to see this additional training in your members area then.